It will be nice to see Tegucigalpa Airport by Fly Honduras Team and Henry Carcamo. This airport is very nice including good textures and bgl's, and is Free. It's a great regional airport and his scenery is very true-to-life. Is there a possible chance my Newquay Cornwall Airport: http://southwestdesign.org.uk/southwest%20...%20team_010.htm can be fitted with AES? // Mikko Y and Happy new year! Can you do the freeware EBOS v.3 Oostende scenery by Maximil? I think it's a great scenery and definately worth AES. I second that motion! Please look into this beautiful scenery, and also add EHAM to the above list. NL2000 v3 just NEEDS this enhancement! Great new sceneries are being released probably faster than you can AES them but I would still like to point your attention to this fantastic new scenery of Kerkyra (Corfu) LGKR of the Greek Airports Project. I would love to see any of Virtualcol's airports with AES. I know this is supposed to be one airport only per post , but they don't have individual product pages - you have to select the airport from the main product page below. Sceneries have been around for a while but still very good quality - would be great to have some Central American destinations available! 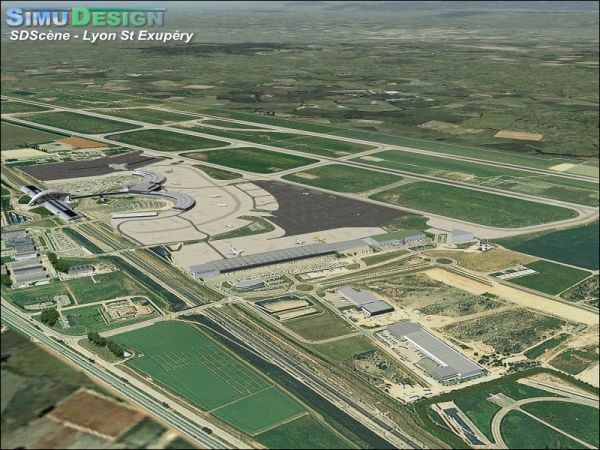 I would appreciate to make the Simudesign Lyon Saint-Exupery scenery compatible with AES. It's really a nice airport. Paris of the Middle East. Would be cool if you guys could add support for Baltimore/Washington International Airport 2k5 Version 2, http://library.avsim.net/search.php?Search...n&Go=Search Thats a great scenery. no AES: Jetways part of Terminal, no way to exclude them. Theres a great Scenery out for TBPB - Grantley Adams International Airport which is payware quality. It was released in February. It would be great if that was AES compatible. Heres a link to view the scenery http://library.avsim.net/search.php?Search...n&Go=Search Its by Max Krus by the way. Can we have Flight Scenery, FlightZone02 Portland-Hillsboro airport with AES? Pleaseeeee <img src="http://www.forum.aerosoft.com/public/style_emoticons/default/smile.gif" style="vertical-align:middle" emoid=" " border="0" alt="smile.gif" /> This is a wonderful airport scenery and I fly BBJ's and A319's into this airport. Here are some shots I took. CHECKED: No AES, not in the AES support Focus. I would really appreciate if you would consider adding AES to the Southwest Design Team Southampton Airport - we need more airports in the UK and most certainly towards the southwestern end. Thankyou Oliver for a great product & cheers for taking the time to read my post. Now that AES is available for FSX, I'd like to put in a request for <a href="http://www.fscloud9.com/php/products.php?lang=EN&id=159" target="_blank">Cloud9's Orlando International</a>.